Polyester and fleece come together to create a water repelling, hand warming, don’t-get-too-comfortable-and-fall-asleep type of jacket in the Simms Rogue Fleece Hoody. 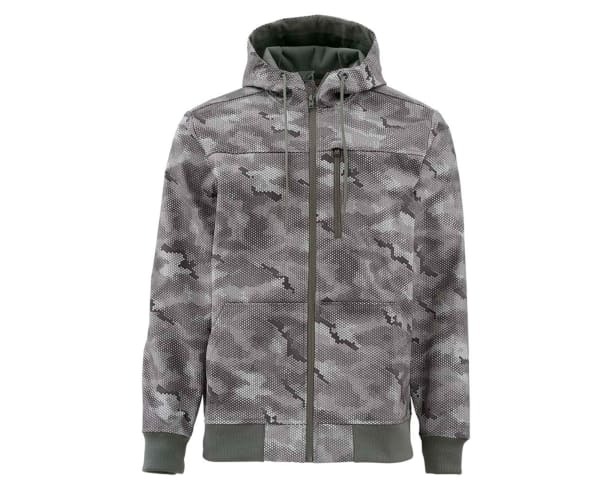 With several color and pattern options this jacket is perfect for changing seasons and weather that changes even during your fishing outing. The fleece lined pockets will keep your hands warm even when your buddy looks half-frozen. With this jacket, the fish will be the only ones wet and cold.